Innumerable varieties of the chemical compounds are released into the Earth's atmosphere via natural, anthropogenic and biogenic emissions. These compounds show adverse effects such as influence on the climate, eco system and human health directly or indirectly. One such adverse effects is the well known Antarctic ozone hole formation because of the chlorofluorocarbons (CFCs). This has lifted the eyebrows of the scientific community and the search for alternatives was initiated after the CFC were banned at the Montreal protocol. Therefore, it is very essential to understand the fate of each compound in the Earth's atmosphere before their usage in any form. In our research laboratory, efforts for such an understanding on many compounds that are being released into the Earth's atmosphere are initiated. The compounds of our interest include starting from the alternatives compounds to CFCs till the recent bio-fuels and their additives. Although many physical and chemical properties are needed to be explored, we measure the kinetic parameters of the reactions of these compounds with the oxidizing agents as a first step. All the compounds those are released into the Earth's atmosphere, undergo either physical or chemical processes. The physical processes include absorption of light and thus initiated photochemical processes. The chemical processes include the reaction of these compounds with abundant oxidising species to form transient species and thereby contribute significantly to the chemical composition of the Earth's atmosphere. To understand the complete fate of a molecule that is released into the Earth's atmosphere, the research work carried out in our laboratory is broadly categorized into two domains accordingly. The absorption of light at a suitable wavelength by a molecule leads to the photodissociation into several radicals or transient species. 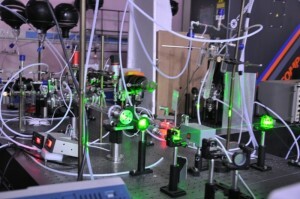 Therefore, the quantum yields, absorption cross-section of the formed radicals and their loss processes via chemical reactions are needed to be studied to have a complete picture of any molecules of importance in the atmosphere. To achieve this goal, a state of the art instrument called "Cavity Ring Down Spectrometer (CRDS)" has been built in our laboratory. In simple words, a photon is trapped ina highly reflective optical cavity and it is allowed to travel between them to enhance its optical path length. About 20-50 km optical path length is just very trial to be achieved using this technique. 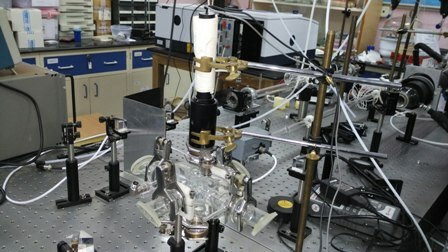 This very high optical path length makes the technique super sensitive and will enable to detect trace gasses even when the concentrations are as low as ppb. Using the CRDS, one can measure(1). 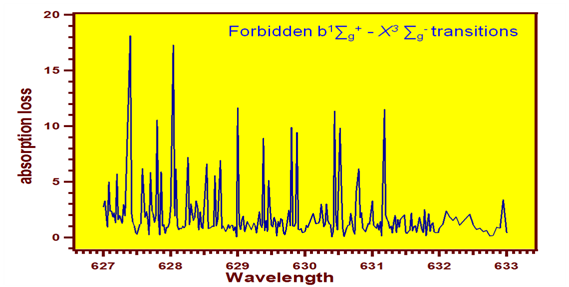 The absorption cross sections of any transient species (radical),(2). Quantum yields of the formation of such a radical,(3). Kinetics of radical-radical,radical-molecular reactions. 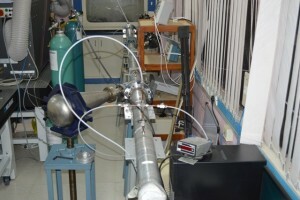 All these studies are being presently carried out in our laboratory. The lifetime of any compound released into the Earth's atmosphere depends on the rates of their reactions with the oxidizing species such as hydroxyl radicals (OH), Cl atoms, NO3 radicals etc. The lifetimes of the compounds can be estimated using the measured kinetic parameters in the temperatures relevant to the atmospheric conditions. 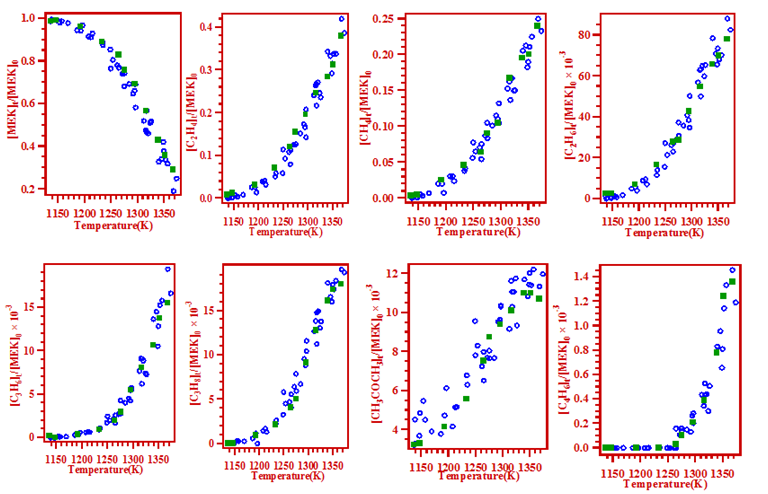 We adopt two methods namely relative rate (RR) method and Pulsed Laser Photolysis - Laser Induced Fluorescence (PLP-LIF) method, for the purpose of these measurements. 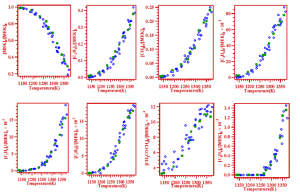 In the RR method, the rate kinetic parameters are measured relative to a known reaction. The PLP-LIF method is an absolute method, wherein the concentration of one of the species is measured using an induced fluorescence. The kinetic parameters are obtained using the measured temporal profile of that species. Fossil fuels are the major source of energy in the present era. The usage of the fossil fuels takes the major stake as the source for the energy till 2040. The usage of these fuels led to the generation of greenhouse gasses and they are released into the Earth's atmosphere. This is a serious threat in terms of global warming. Therefore, the usage of biofuels as renewable sources seems to be one alternative source for the energy in addition to solar energy and nuclear energy. Although biofuels are acceptable, the emission of greenhouse gasses in the process of combustion should be seriously considered. The reaction mechanisms for the combustion of bigger molecules are much more complicated and lead to various products which may be harmful to atmosphere. Combustion of a fuel can be divided into two categories, complete and incomplete combustion. In complete combustion, fuels burn in oxygen and produce CO2 and H2O as primary products. Incomplete combustion will occur when there is not enough oxygen to allow the fuel to react completely to produce CO2 and H2O. For most of the fuels, such as diesel oil, coal and wood, pyrolysis occurs before combustion. In incomplete combustion, products of pyrolysis remain unburnt and contaminate the smoke with noxious particulate matter and gases. Partially oxidized compounds are also of great concern. For example, partial oxidation of ethanol produces harmful acetaldehyde and toxic CO. Therefore, pyrolysis of biofuels need be fully understood to describe their oxidation. Though the quality of combustion can be improved by changing the design of internal combustion engines, it is difficult to achieve 100% complete combustion. A better understanding of combustion characteristics of these fuels is required before their usage. Unless the deep mechanistic understanding of the decomposition of the proposed or emerging biofuels, it is almost impossible to predict the products. 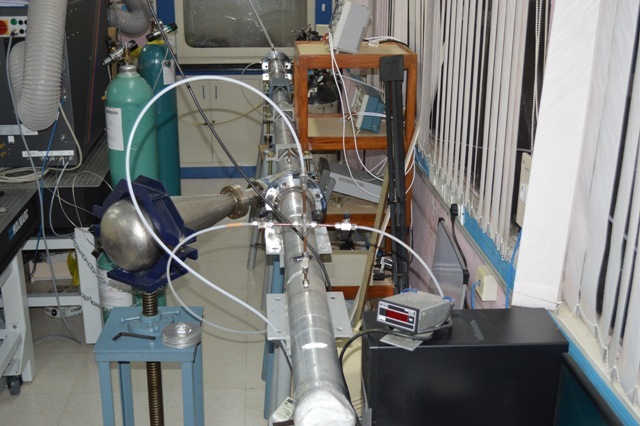 In our laboratory, we use an inbuilt Single Pulse Shock Tube (SPST) to understand the thermal decomposition of these biofuels, important volatile organic compounds at elevated temperatures relevant to the combustion. SPST techniques is very unique in which a single thermal pulse is generated with a temperature gradient of a million degrees per second that survives for about a maximum of 800 microseconds. This thermal pulse heats the molecules to the desired temperature for such a short time. This means, the molecule under consideration is heated in the temperature zone of 1000 - 2500K and cooled to the room temperature instantaneously. The complete decomposition of the biofuel under consideration is investigated by analyzing the post decomposition products. State of the art diagnostic techniques such as GC-MS, GC-IR, GC with FID, TCD, ECD and NPD, FT-IR with very high resolution are used for this. Complete kinetic simulations are carried out to propose a probable mechanism of decomposition. Computational methods are extensively used to complement our experimental findings. 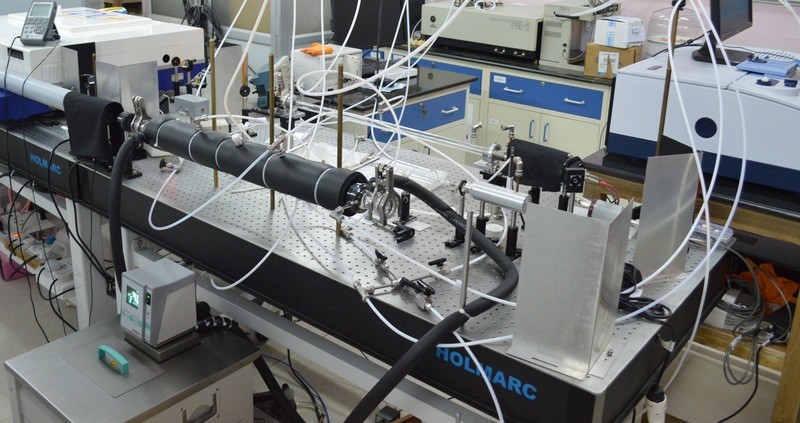 In addition to the above studies, atomic resonance absorption spectroscopic (ARAS) studies are planned to be carried out to understand the reactions of atoms such as hydrogen with biofuels in the high temperatures. 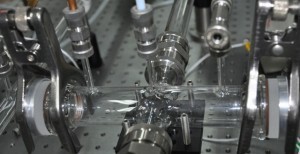 Also, efforts are currently being made to use the laser induced fluorescence (LIF) technique to find the lifetimes of the transient species in the high temperature zone in SPST experiments. Computational Studies The usage of computational methods has become very important since the last two decades of the 20th century. In the event of lack of experimental data, computational methods offer a very reliable solutions. Even when experimental data are available, computational methods have become complementary tools for validation of the results. In other words, both experimental techniques and computational tools are complementary to each other. 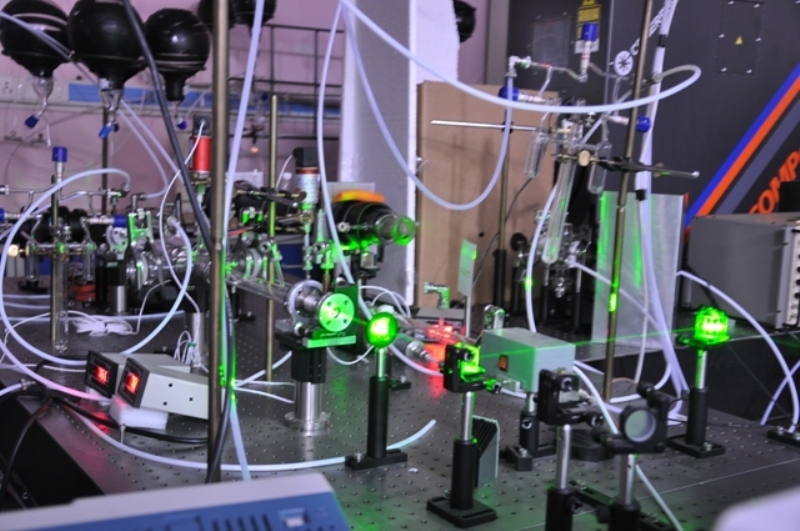 In our research laboratory, the computational methods are used to compute the kinetic parameters for the reactions of OH radicals, Cl atoms and NO3 radicals with varieties of compounds of interest in the Earth's atmosphere and combustion. Experimentally one can measure the overall rate coefficient for a reaction. But the information on the contribution of each site in the compound cannot be drawn so easily. 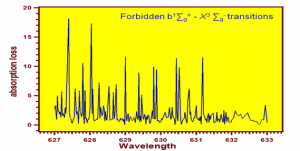 Measurements with isotopic substituents should be carried out and they are very expensive. The site specific contribution to a reaction can be easily estimated using computational methods. In addition, the contribution of type of reaction viz. addition or abstraction to the global rate can be estimated using computational methods. The transition state theory, variational transition state theory with necessary tunneling corrections are used for the calculation of rate coefficients. The branching ratios of varieties of channels in a reaction are estimated over the temperature using the computational studies. In the combustion process, understanding the mechanism is a challenging task especially in the high temperature regime. The chemical kinetic simulations is an alternate way of understanding the decomposition mechanism of a compound. A proposed set of reactions with the known kinetic parameters can be used to compute the concentration of each and every species involved in the reaction. Kinetic situations can give us a guideline on the mechanism of a reaction. These studies are carried out in our laboratory to support the data obtained in the SPST facility.